Kerala high court on Monday questioned the state government’s action against devotees at the Sabarimala temple in the state’s Pathanamthitta district, asking its top law officer to appear before it. “How can the police do such high-handedness in the name of the Supreme Court verdict?” the court asked while hearing a plea questioning last month’s baton charge by the police and its subsequent action on devotees. “Why do you need 15,000 police in Sabarimala?” the court asked the government as it asked the attorney general to explain the government’s move. The high court also questioned the lack of basic facilities for devotees at the hilltop shrine. 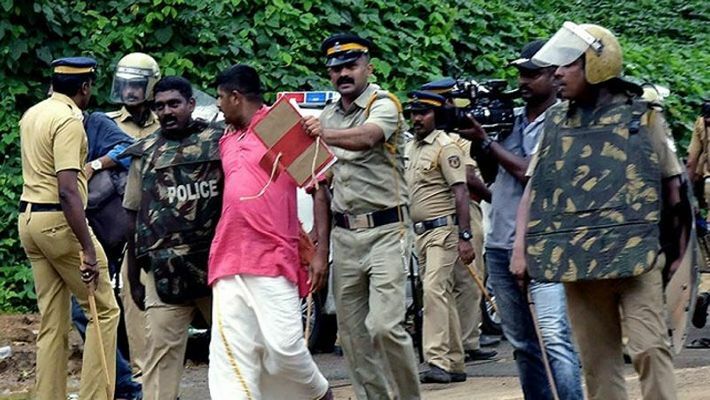 Police have arrested 3,505 protesters so far and registered around 529 cases in connection with a series of incidents of violence that erupted in the state over the entry of women into the Lord Ayyappa temple. The temple opened for the third time on Friday for a 64-day annual pilgrimage after the Supreme Court lifted restrictions on the entry of women of menstrual age.